RAM Commander provides full ILS (Integrated Logistics Support) and LSA (Logistics Support Analysis) support. Maintainability Prediction and Analysis module provides one of the main outputs needed for ILS and LSA – the MEA Report. 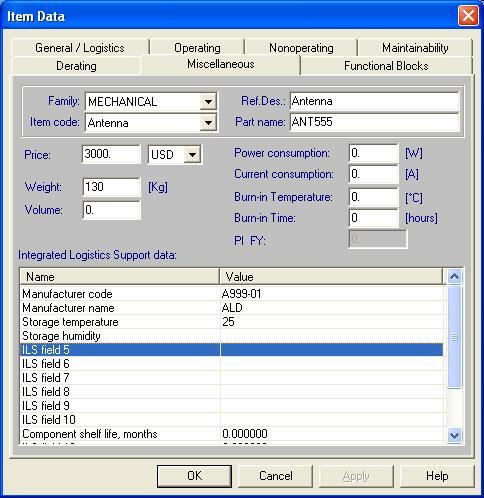 FMECA and Testability Analysis Module supply important inputs for ILS. Spare Parts Optimization and Spares Quantity Estimator modules give answers to one of the most important tasks of ILS spare parts provisioning taking into account budget limitations, Turnaround Time, Condemnation Rate, Spare parts Max/Min. 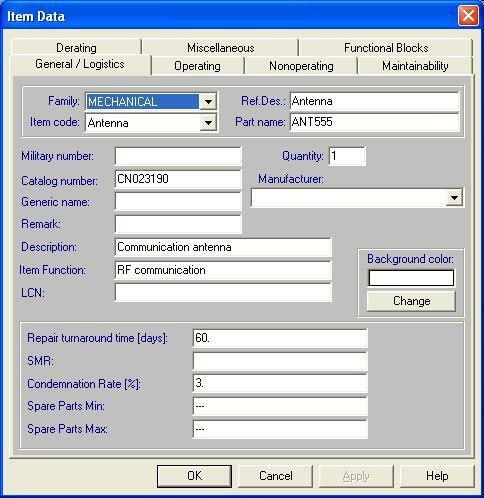 RAM Commander allows interface with the LSA information of the customer’s ERP system and produces MAC (Maintenance Allocation Chart) and ICL (Integrated Configuration List). Seamless connection with D-LCC achieves coverage of Life Cycle Costing.